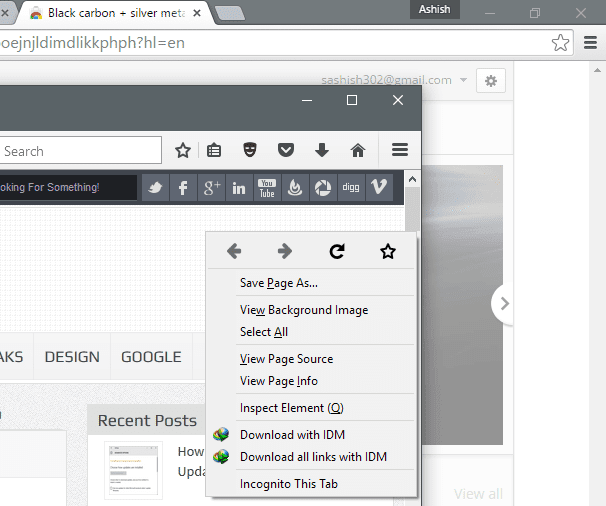 Yes, you can switch the current Firefox tab to private tab in one click. 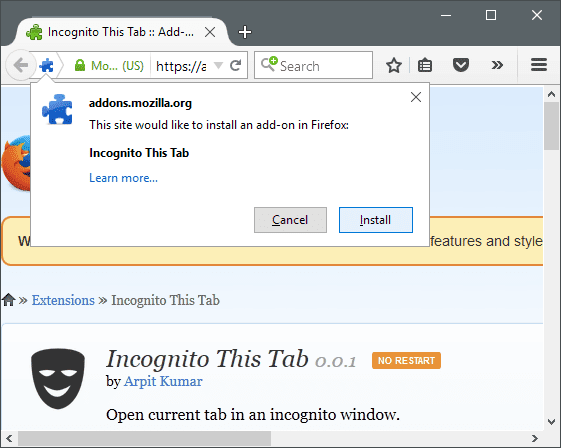 Try Incognito This Tab Add-on! Few months earlier I shared you a Chrome Extension that allows us to switch current Chrome tab to incognito in one click. There is a similar extension for Firefox which allows you to do the same. It's an interesting feature and saves you many clicks. Without this add-on, you'll have to open a new private tab, copy the URL from normal tab and paste it in the private tab. Although this add-on don't have as many feature as the Chrome Extension but it does the task very well. In the Chrome Extension which I shared earlier (link given in the first paragraph), all the additional tabs get merged in the same incognito window. But with this Firefox add-on, a new window gets created each time you click the Incognito this Tab icon. Go to this link and install this add-on on your Firefox browser. Right click anywhere in the tab you want to send to private tab and click "Incognito This Tab". Alternatively, you can click on the mask icon next to the URL bar. Read: Resume Failed Download in Firefox. Note: It'll not remove the current tab from history. It'll be handy if your page crashes or become unresponsive due to extensions.